We build custom enterprise apps that transform the way you do business. Whether you're looking to build a custom CRM, product management system, or develop a new cutting edge data aggregation routine, our team of engineers have considerable experience building large scale apps that automate complex workflows. Improve your business efficiency and let us design and build a custom app for you. Using automation, you can remove human intervention and save time and money. Placing relevant and actionable data at your fingertips will allow you to make better business decisions. Our apps are designed to scale to meet your business needs for years to come. 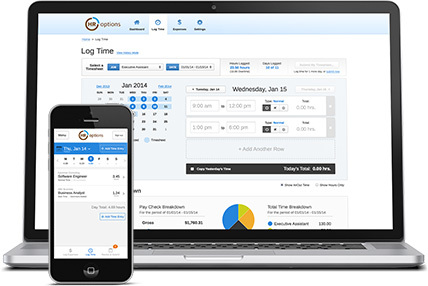 Designed and built from the ground up, HoneycombHR is a complete human resources platform offering personnel files, time tracking, expense tracking, payroll, and much more.